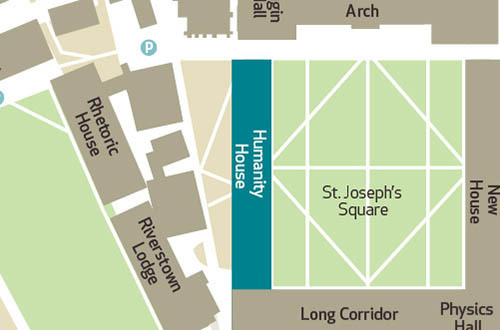 The Student Fees and Grants Office is located in the Central Registration Office on the ground floor of Humanity House which is located on the South Campus. Please feel free to call in person to the Fees and Grants Office, at any stage throughout the Academic year, where any member of the team will gladly assist with your query. Wishing you every success in your studies for the new Academic year. With kind regards Fees and Grants Office Team. The Fees and Grants office’s primary function is the setting and collection of all student fees due to the University. Our aim is to provide as much information and practical advice for Undergraduate and Postgraduate students pertaining to the Exchequer Free Fees scheme, SUSI, payment of fees, refunds, tax relief, stipends, research funding, etc etc . We hope you find the information you require on this site, but if not, feel free to call in and talk to a staff member at our offices in Humanity House. The University is not bound by any error in, or omission from, the information contained on this website. Unless otherwise indicated all fees listed cover one Academic year. The Fees and Grants Office cannot take responsibility for incorrectly quoted fees by any University Department, if in doubt please ensure to contact or call into the Fees and Grants Office to clarify all fee liability. Is é príomhfheidhm na hoifige Táillí agus Deontas gach táille atá dlite ó mhic léinn don Ollscoil a shocrú agus a bhailiú. Áirítear air sin aisíocaíocht an fhóirdheontais maidir le táillí saor in aisce ón rialtas agus gach ranníocaíocht/táille mhic léinn a cheadaíonn Tacaíocht Chomhchoiteann do Mhic Léinn in Éirinn (SUSI). Déanann an Oifig Táillí agus Deontas riarachán ar chóras deontas na n-údarás áitiúil ach meastar go mbeidh deireadh leis sin laistigh de dhá bhliain agus go ngabhfaidh SUSI an obair sin air féin. Is é an aidhm againn ar an suíomh seo faisnéis agus comhairle phraiticiúil a chur ar fáil maidir le híoc táillí, aistarraingt ó chlár nó iarchur acadúil, athdhéanamh scrúduithe, faoiseamh cánach ar tháillí agus aisíocaíochtaí. Tá súil againn go bhfaighidh tú an fhaisnéis atá uait ar an suíomh seo, ach mura bhfaigheann, ná bíodh leisce ort bualadh isteach agus labhairt le ball foirne inár n-oifigí i dTeach na Daonnachta.